As I’ve said before, the hardest thing about this process is to go to bed early and to wake up at 4:30am. I seem to fight both with every fiber of my being. Long story short. . . I slept hard, finally leaving the arms of sweet Morpheus. I hit the floor somewhere around 5:30. I was in such a fog, I can’t remember, honestly. 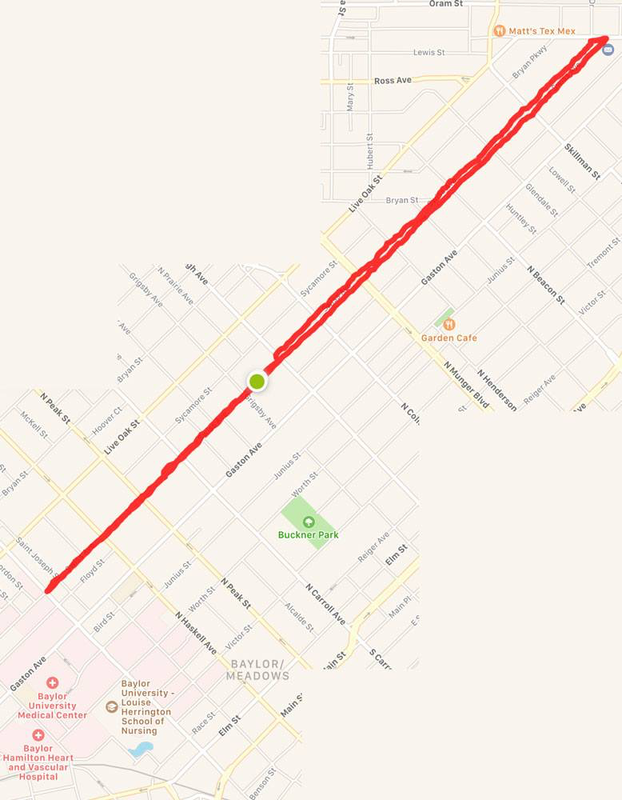 Instead of driving 15 minutes to Reverchon Park, where I normally start my run, I walked outside, stretched and took off up Swiss Avenue. One thing that really bothered me this morning is an old problem. 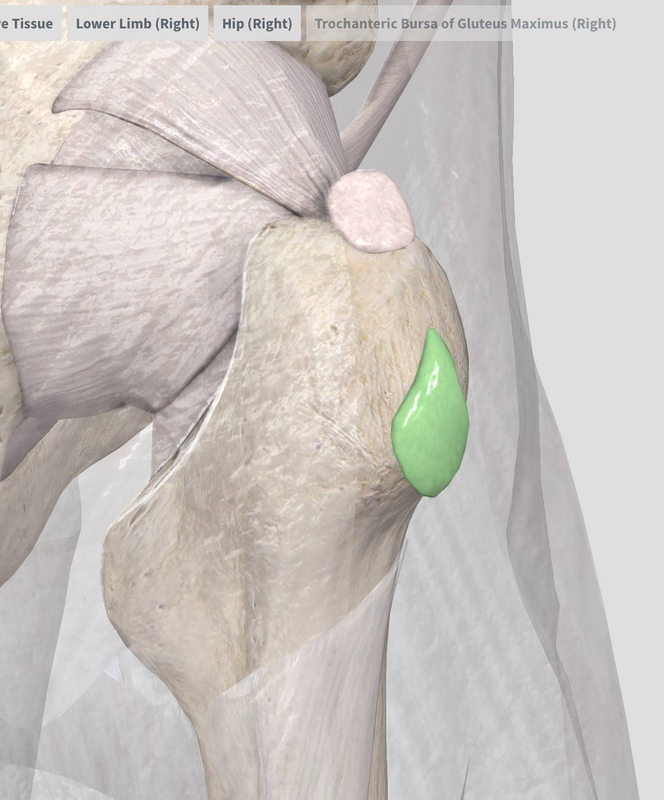 I have a little bursitis in my Trochanteric Bursa of my Gluteus Maximus. (See below.) Probably from SITTING on my Gluteus Maximus for so long! The upshot is that after running a fairly short distance, it begins to ache like a beast. My iliotibial band (IT) feels like it’s on fire after less than a hundred yards. I may have to have a cortisone shot in this thing to calm down the inflammation. That and/or start some exercises to strengthen my hip abductors and external rotators. I suppose this is where I get serious about this whole process. Time to go big or go home. I’ve been monitoring my body intensely and noticed that the things that hold me back from running from start to finish are: 1) this bursitis, and 2) a general heaviness in my legs. What I’m NOT REALLY EXPERIENCING is 1) an abnormal shortness of breath or 2) much difficulty in processing either self-generated or ambient heat. So, I’m okay in that regard. So, enough for today. There’s more to learn each day and I’m doing my best to absorb and implement everything I can without being crazy about it. Let me know your experience if you decide to do any of this yourself.